We haven't overlooked the family members who sport fur and feathers! We've got beds, bowls and airy, little domiciles. Let the pampering proceed! Create a Fido-approved sanctuary with our selection of luxury pet items, including fluffy dog beds, good-looking dog bowls, antique biscuit containers and elegant birdcages. These are high-class pet necessities that double as home décor accents and functional pet essentials in one. 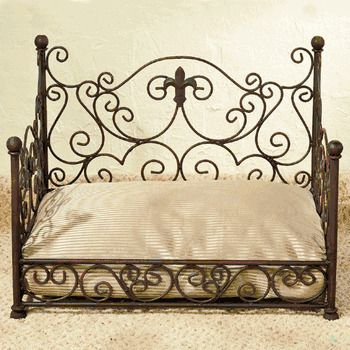 Our great assortment of pet items means that you can design a cozy, pet-friendly home that matches your unique home décor, whether it be rustic and antique or contemporary and chic. 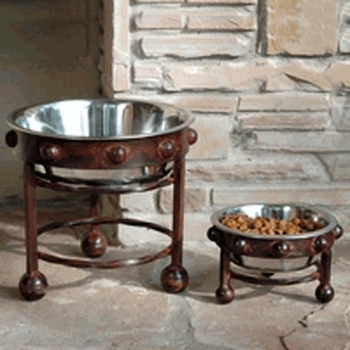 Forget the cold and utilitarian look of pet store goods when you choose Iron Accents' pet items. Cute and smart pet accessories, like an adorable leash holder or a stylish treat jar, make great gifts for dog-lovers. We haven't forgot about the felines in your life, either. Elegant GG Collection pet feeders are great for both cats and small dogs, while our adorable cat treat containers will please all of your four-legged feline friends. 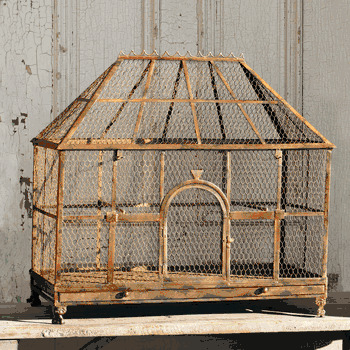 Our gorgeous, antique birdcages are so stunning that they even make beautiful and unique plant holders or vintage home décor accessories.